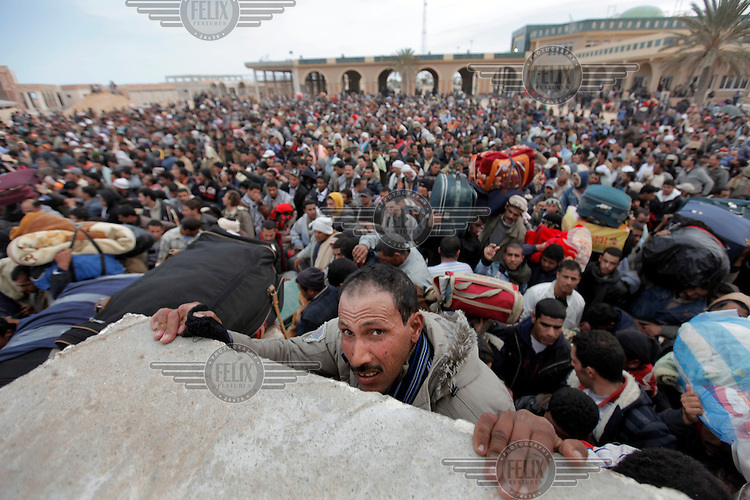 People try to climb a wall at the border crossing.Tens of thousands of people, mainly Egyptian workers, flee unrest in Libya and cross the border into Tunisia. Some slept in the open for several days before being processed. At the same time forces loyal to Col. Gaddafi fought opposition forces in various parts of the country.